The Carmenere grape varietal was originally from France (the Medoc region of Bordeaux to be precise), but has since found favor in Chile, where it is grown with gusto. 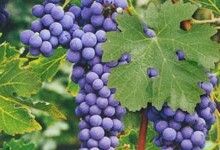 This grape has an interesting heritage in Chile, with many mistaking it for Merlot initially. Not surprisingly, “Chilean Merlot” was known for having a different palate profile than other New World Merlot bottlings. However, once DNA tests confirmed it as Bordeaux’s long lost Carmenere (destroyed by phylloxera), thriving in Chile’s unique, phylloxera-free terroir, the grape became known worldwide as Chile’s red grape and they’ve had immense success with its cultivation. It is bottled as a single varietal wine and as a blend, most often with Cabernet Sauvignon. It is a red wine grape with intense, inky violet color. The aromas most often associated with Carmenere are tobacco, tar, leather, bell pepper, dark fruit, coffee and chocolate. The palate profile can echo the nose, but is largely dominated by cassis, cherry, blackberry, blueberry, plum, pepper, earthy nuances, vanilla and spice. It is typically a medium-bodied wine that is best enjoyed in its younger years. Carmenere is currently produced by 3 California wineries, Caldwell in Napa, Dubost Ranch in Paso Robles, and Yorkville in Yorkville.